Constructed of charcoal/dark grey carpet only, with 3 color trims to select from. 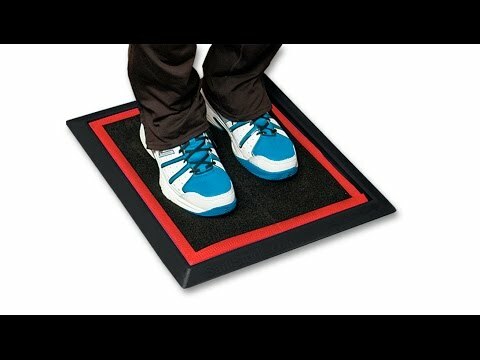 RECOMMENDED: If the SPORTS Mat System will be used 24/7, purchase additional sports replacement insert to put into service while the original mat is being cleaned and set to air dry overnight. Sports replacement inserts should be used when both surfaces of the current insert develop rolls/waves and flatten out and deeper puddling and splashing is evident. All according to the daily amount of foot traffic… the insert life is 3 months to a year plus. SKU: N/A Categories: all, Inserts, Sports Sanitizer Mat 1/2"
The 1/2″ thick Sports replacement insert is a Sanistride® proprietary design. We suggest charging the Sports insert with 3-4 cups maximum of sanitizer.